DharmaJiva is a network of individuals and groups that are cooperating to increase awareness of the social situation of the Dalits and the significance of the Buddhist revival. DharmaJiva is a non-sectarian Buddhist network that includes both Western and Asian Buddhist traditions. 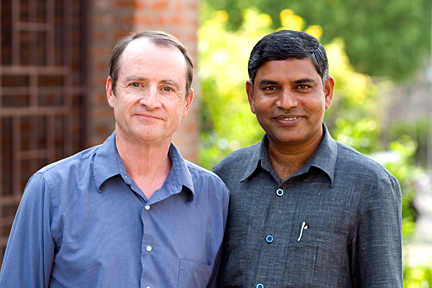 The Executive Director of DharmaJiva is David Viradhamma Creighton, who has been working with Buddhists in India since 1994. He is a senior member of the Triratna Buddhist Order and is on the Board of Directors of the San Francisco Triratna Buddhist Center. Dharmachari Manidhamma organizes and guides DharmaJiva tours in India. He is a senior member of the Triratna Buddhist Order and is a Trustee of the Nagarjuna Training Institute in Nagpur, India, where he lives.